When there is a lot of competition on the housing market, it is common for buyers to be disappointed because other buyers have snatched up their dream homes. In some cases, you can make a backup offer, which is an offer that you make after the seller already accepted another offer to purchase. The backup offer is made in case the first offer falls through, and the seller has the opportunity to choose the backup. This is a common strategy during bidding wars, when competition is high. Usually, even if you submit a backup offer, you will continue searching. At Pulgini & Norton, our Boston real estate attorneys can help both buyers and sellers with backup offers and bidding wars. 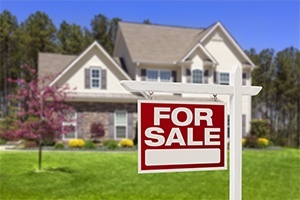 Bidding wars occur when multiple potential buyers make competing offers for a listing. In Massachusetts, the seller has the choice of which bid to accept. Agents are legally obligated to present all of the offers to the seller, but the decision to accept one of them rests with the seller. Sellers sometimes choose not to accept one offer because another potential buyer is willing to pay cash or waive inspections, or simply because the seller likes a particular buyer better. The offer itself does not constitute a contract until the seller accepts it. Just because a buyer and a seller sign a contract does not mean that the sale will actually occur. Often, financing falls through, or a home inspection uncovers issues that cannot be worked through. If a second buyer makes a backup offer, they may be able to buy a home even though it was originally supposed to be sold to someone else. When the first sale falls through, the backup offer takes effect. In Massachusetts, realtors must continue to submit backup offers to a seller until closing, unless the seller waives that obligation. In most cases, a prudent seller does not waive this obligation, in case the first offer falls through, and the realtor is supposed to convey any offers that come in. What if a seller tries to get out of the first contract in order to accept a backup offer that is better? The first buyer may be able to sue for interference with contract. This requires that the first buyer prove that there is an accepted and signed offer that constitutes an enforceable contract, the second buyer who made the backup offer knew about it, and the second buyer intentionally persuaded the seller not to honor the contract for improper reasons or by using improper methods, thereby harming the first buyer. However, if the first buyer backs out of the contract and defaults on their obligations, the seller may be able to proceed with the backup offer. Generally, it is smart for the seller to obtain a release and waiver from the first buyer before proceeding with the backup offer. As a homebuyer or seller, it is important to understand how backup offers and bidding wars work. At Pulgini & Norton, our Boston real estate lawyers can negotiate on your behalf and represent you throughout the process. We advise and represent buyers, sellers, associations, and lenders in many areas of Massachusetts, including Newton, Weymouth, and Lowell. Contact Pulgini & Norton at 781-843-2200 or through our online form to set up a consultation with a property transaction attorney.